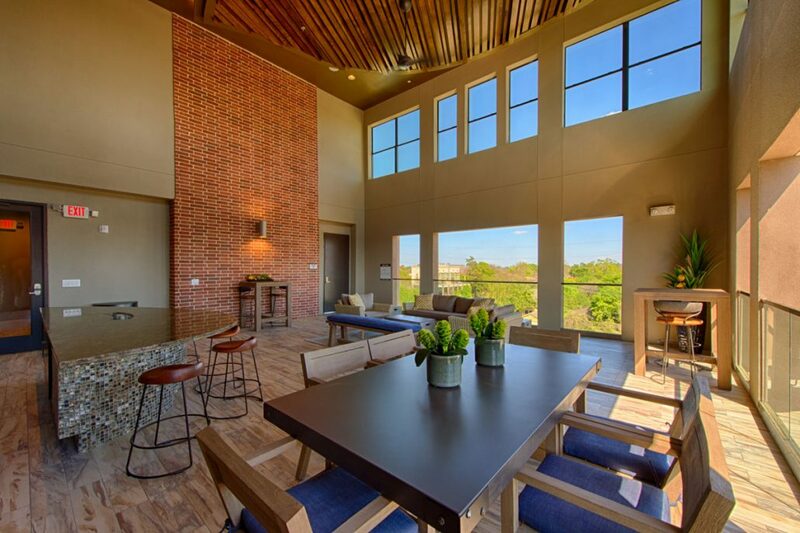 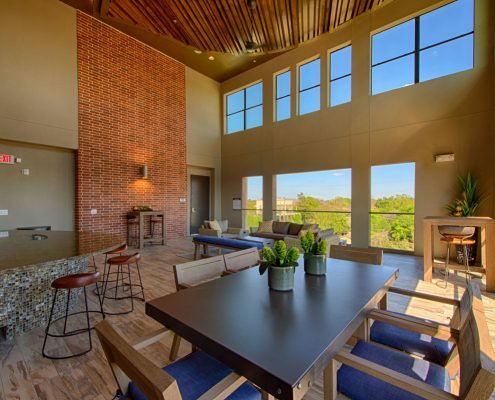 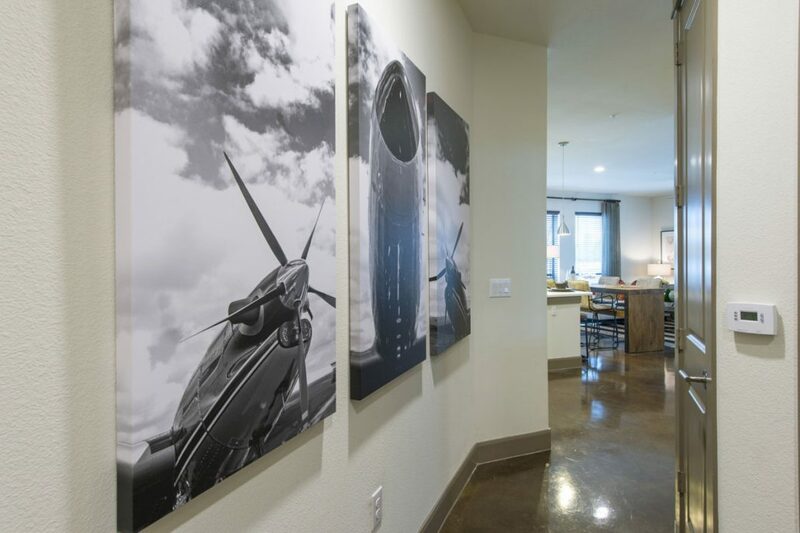 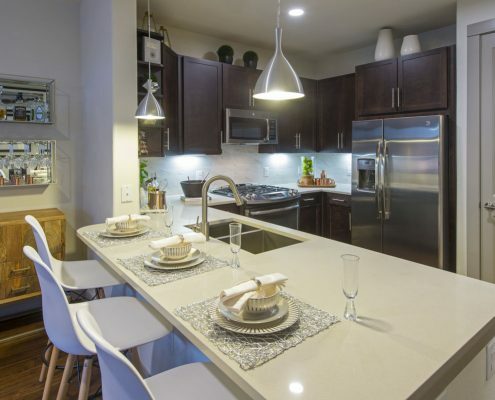 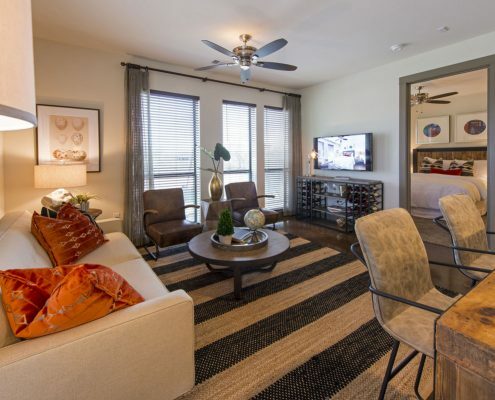 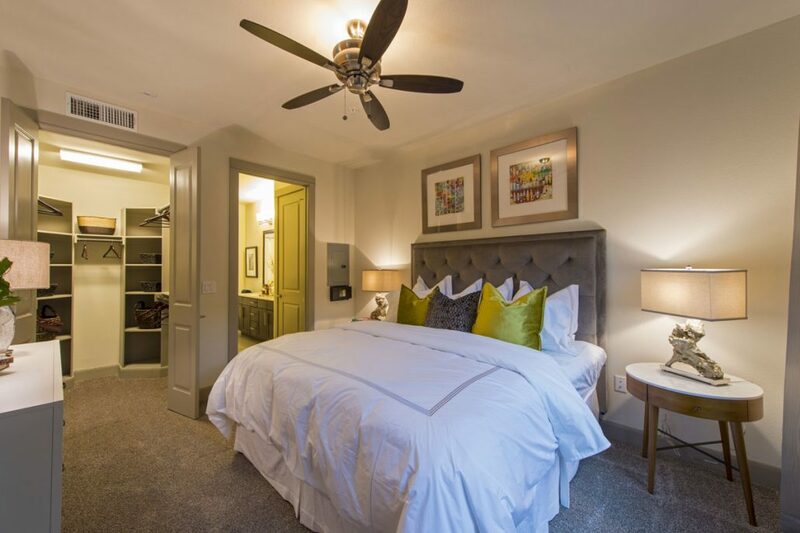 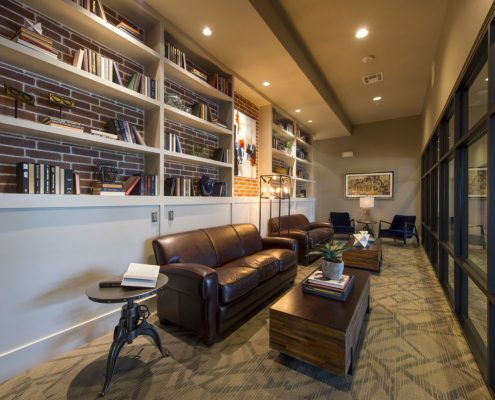 Alexan Yale Street was designed with young professionals in mind. 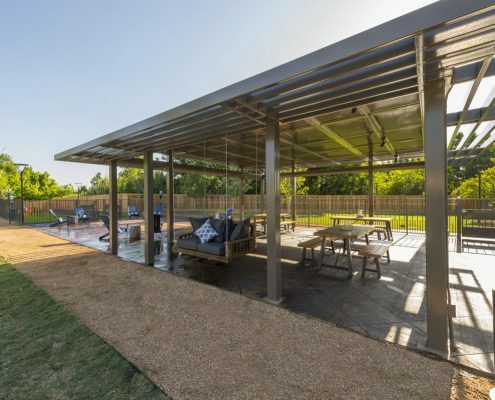 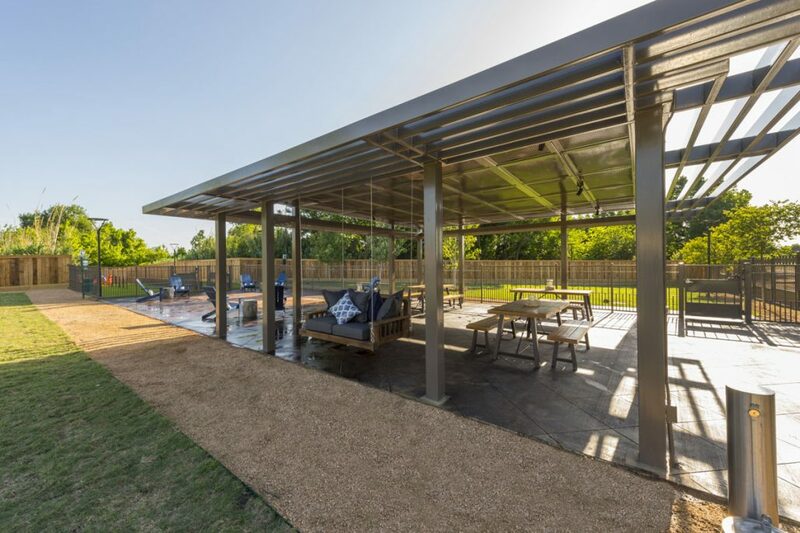 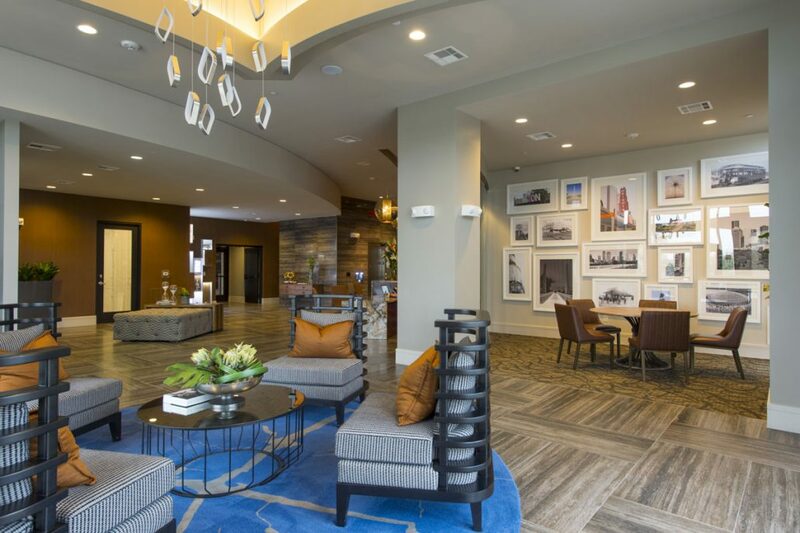 With artwork showcasing past and present notable Houston landmarks, Alexan Yale Street reflects the rich and diverse character The Heights neighborhood offers. 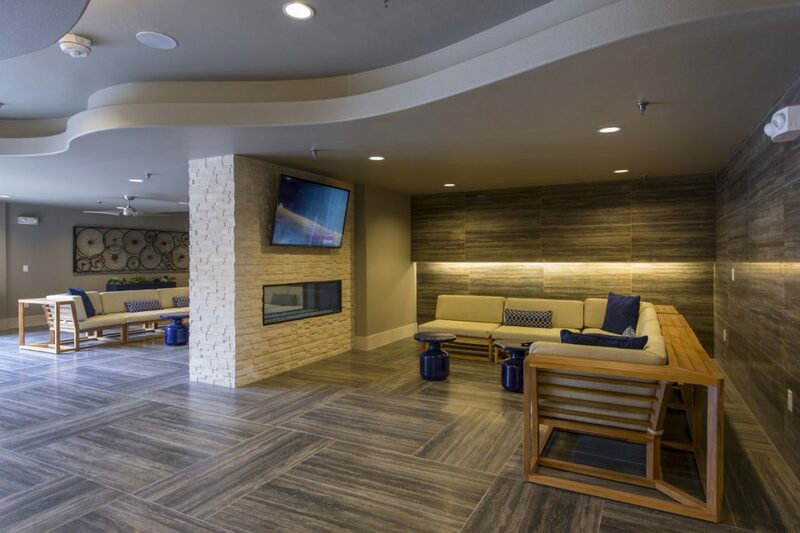 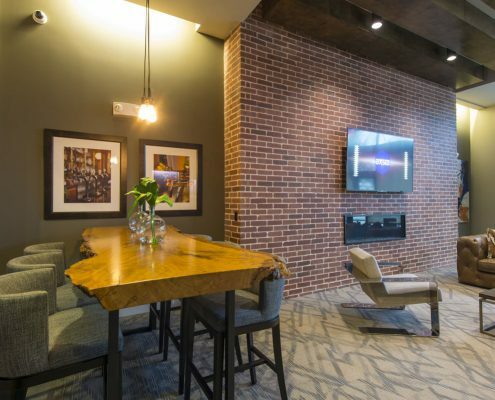 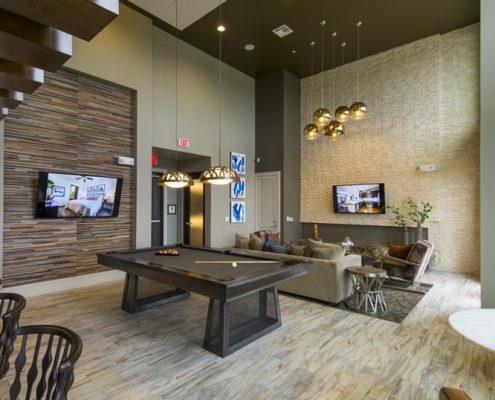 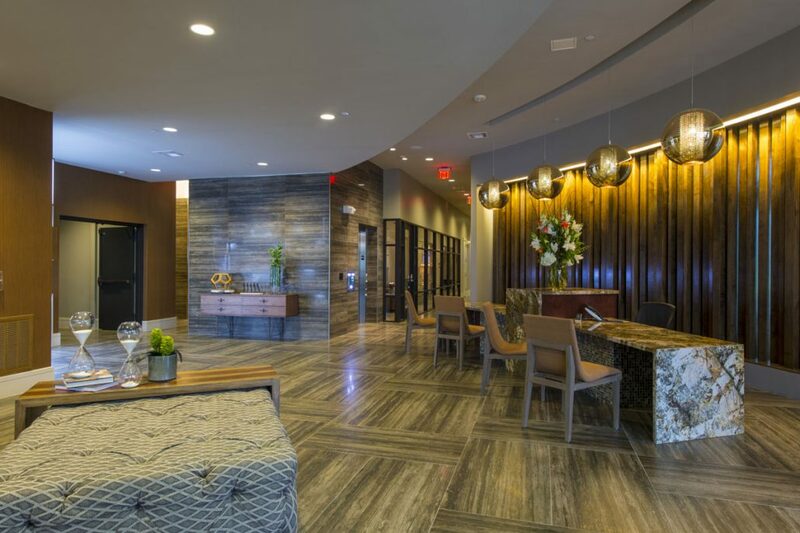 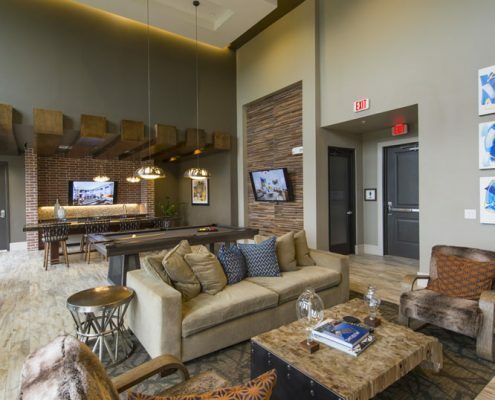 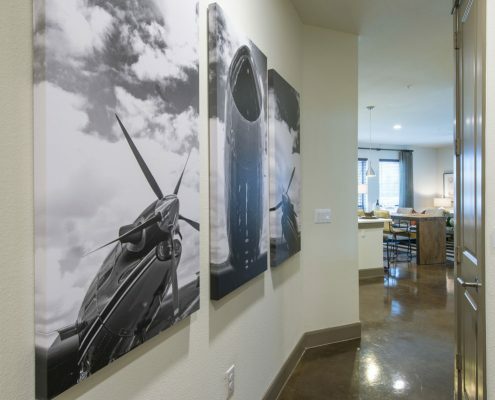 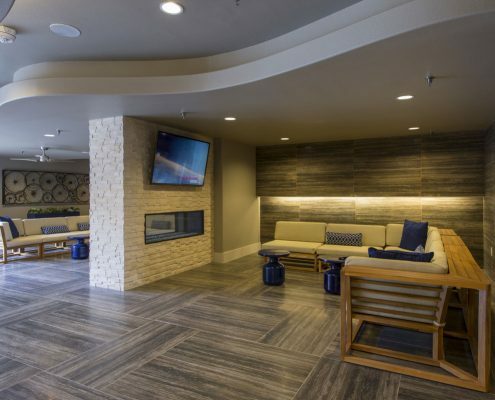 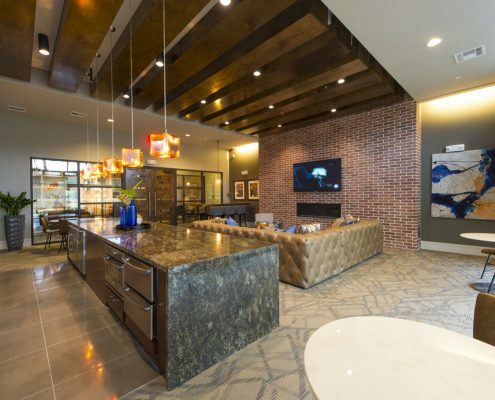 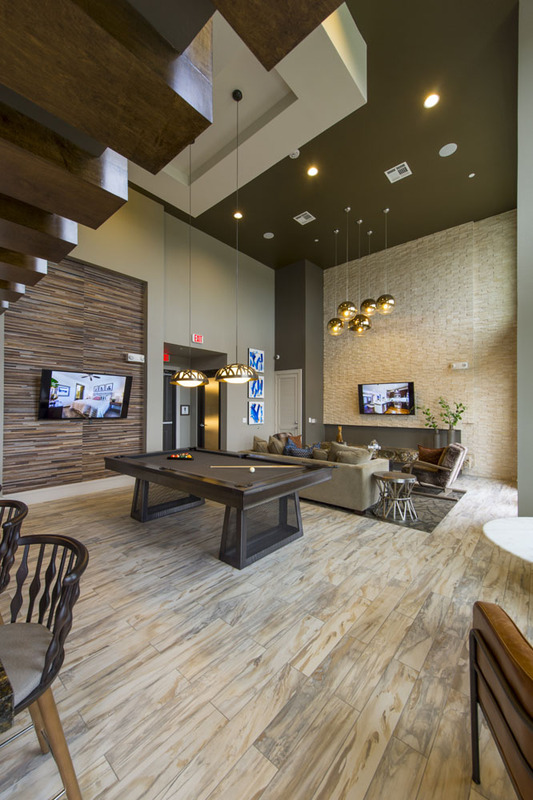 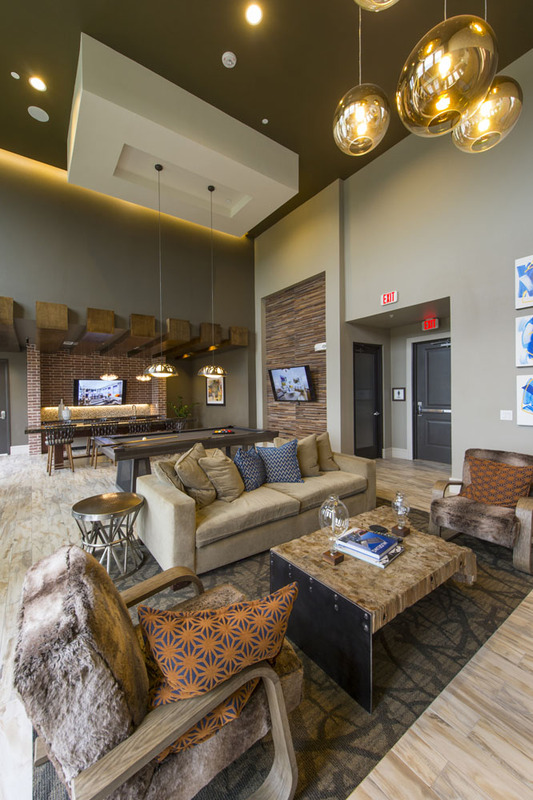 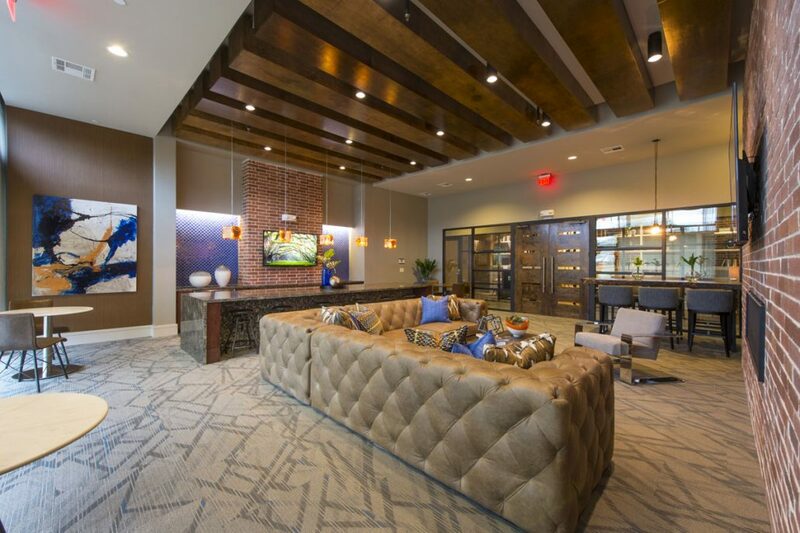 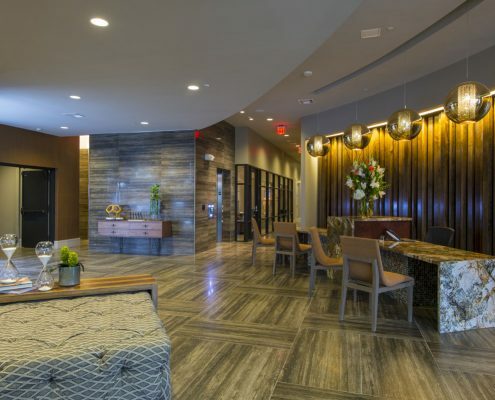 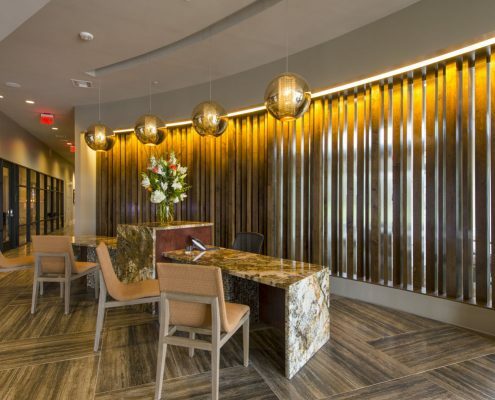 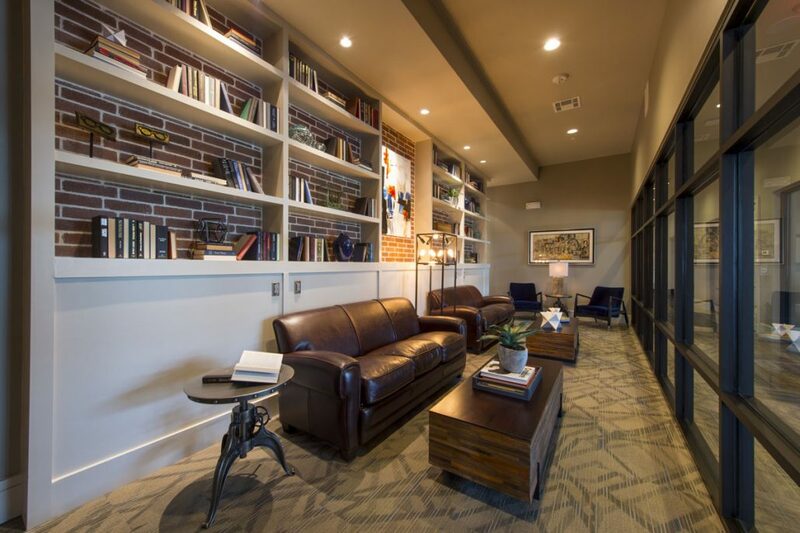 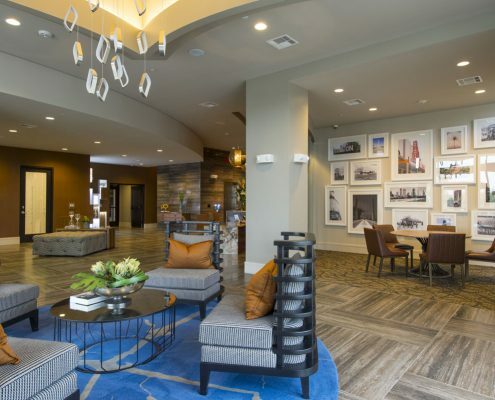 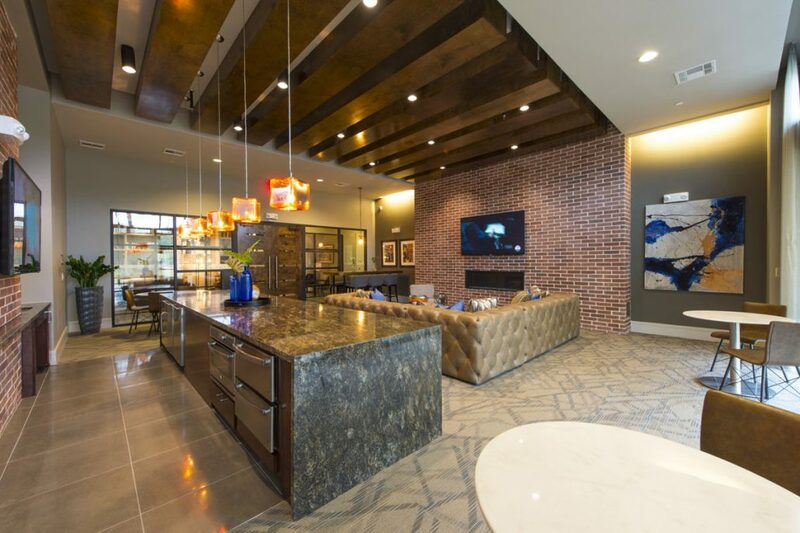 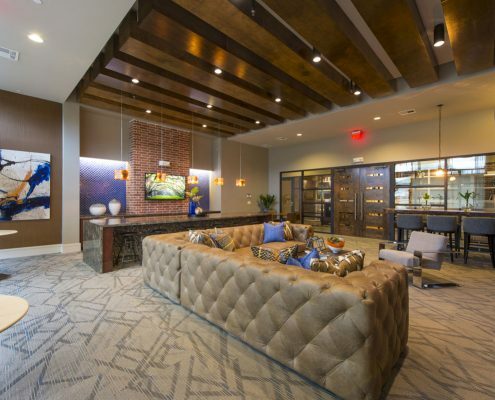 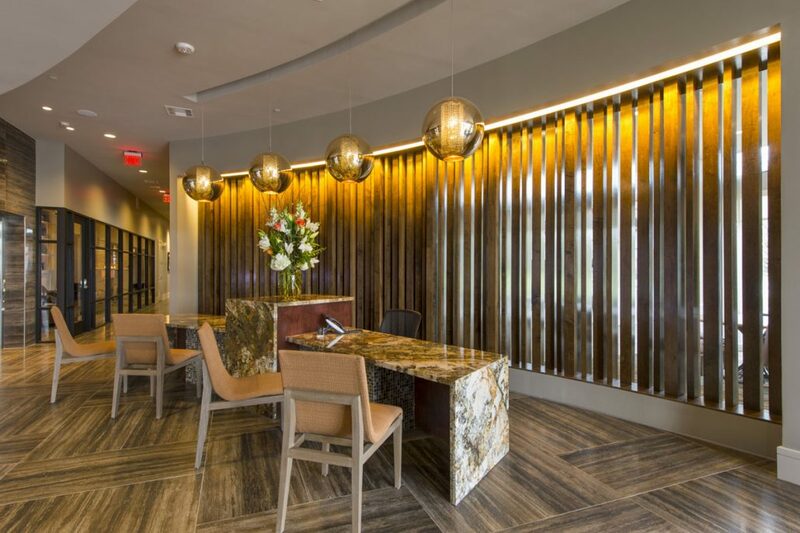 A blend of bold textures and funky lighting give the leasing and amenity center an industrial edge that suits the target market and distinct neighborhood. 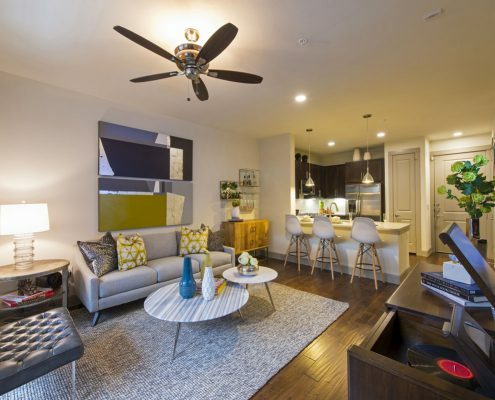 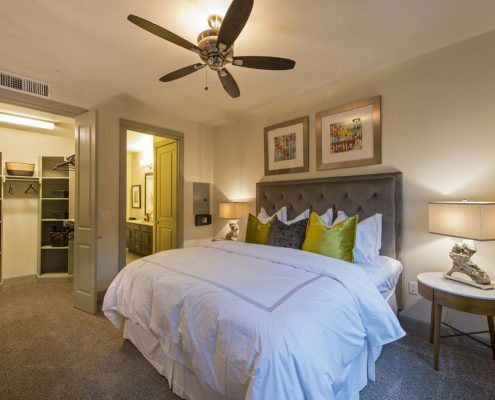 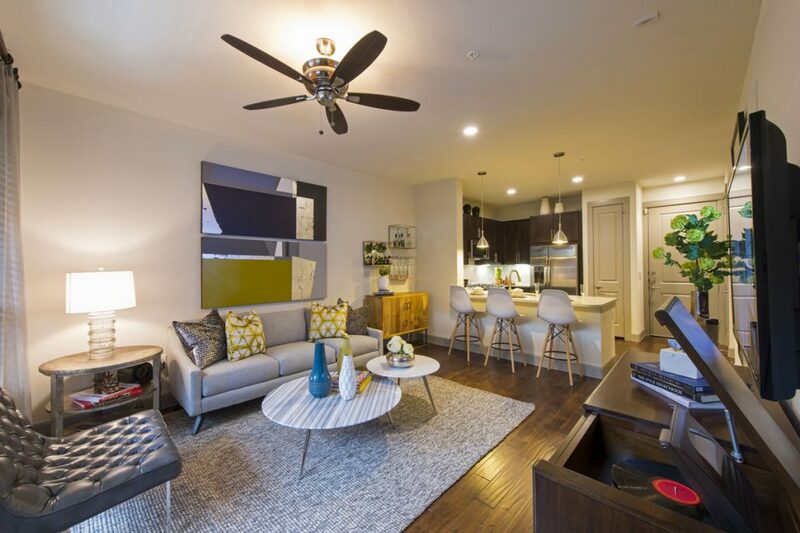 The one-bedroom model unit has a mid-century flair with bright citrus accents. 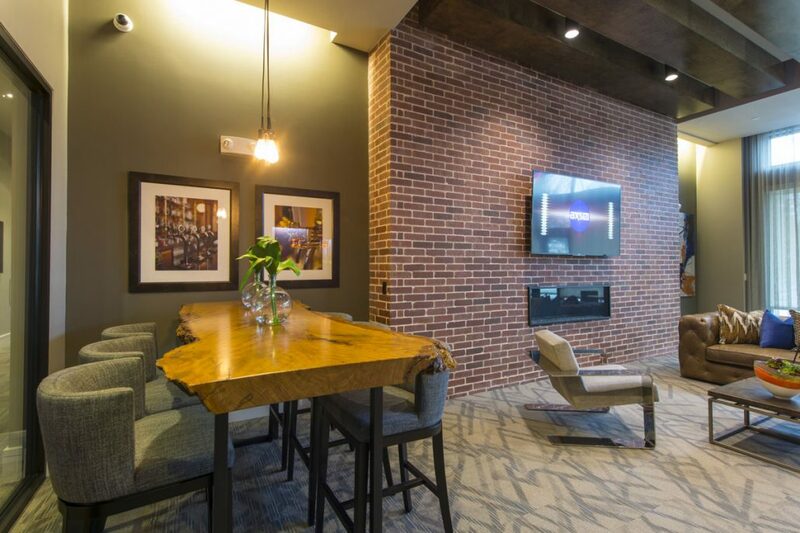 In lieu of a typical entertainment console, a record cabinet lends a trendy yet personal touch to the living room. 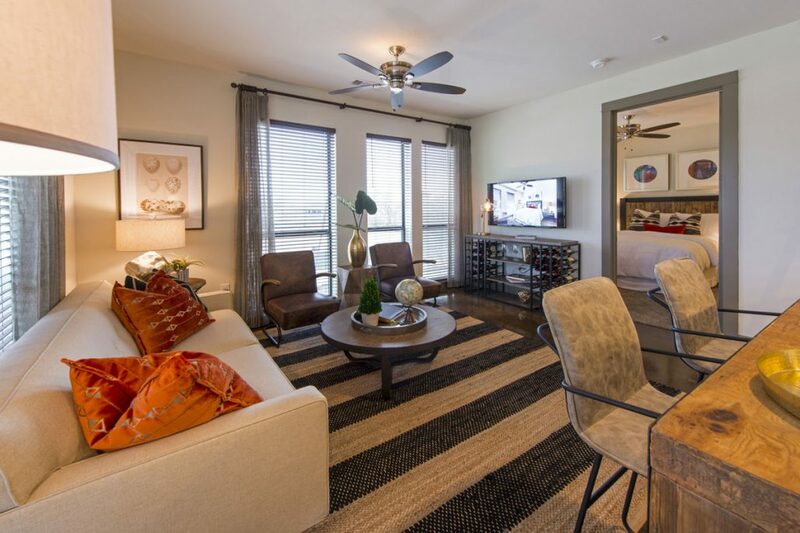 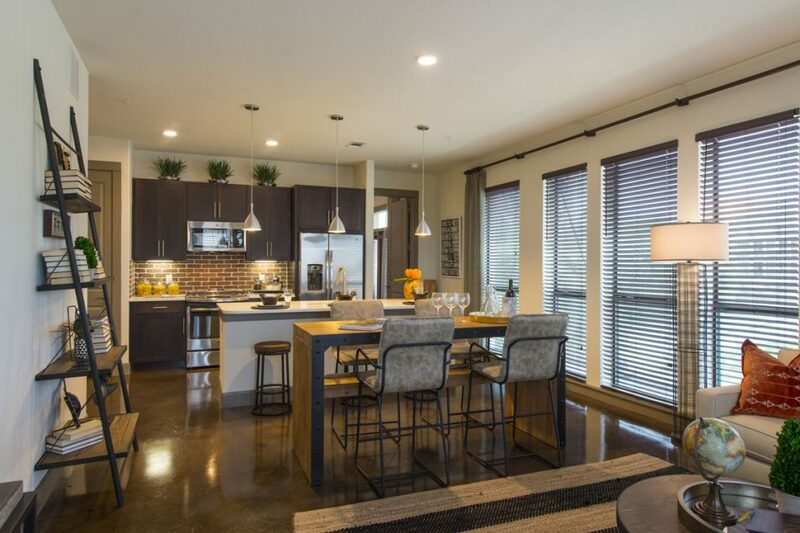 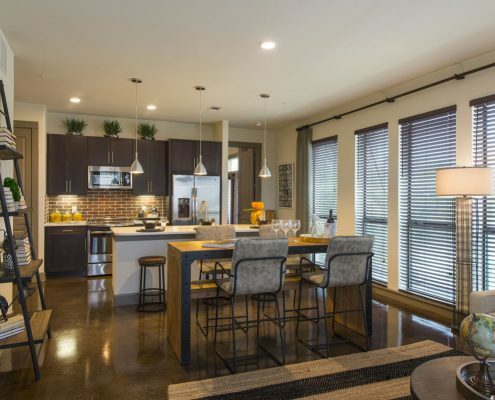 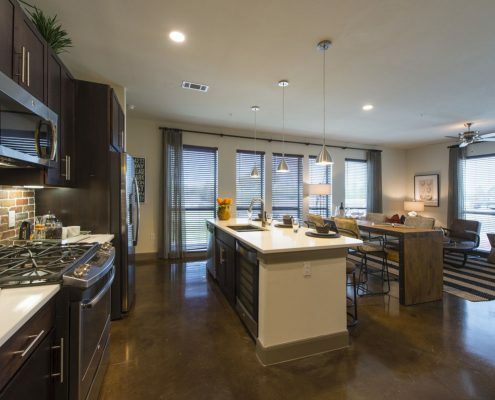 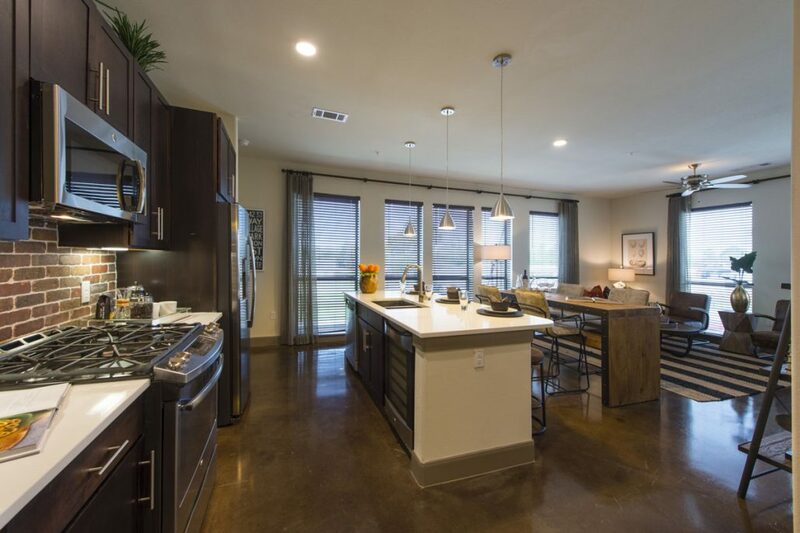 The two-bedroom model unit has a warm, yet industrial feeling. 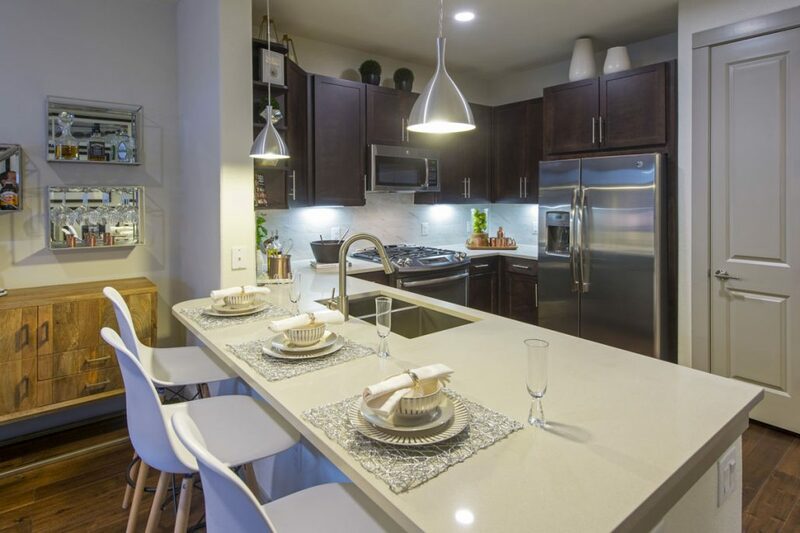 A counter height wine table provides a casual and inviting gathering space.